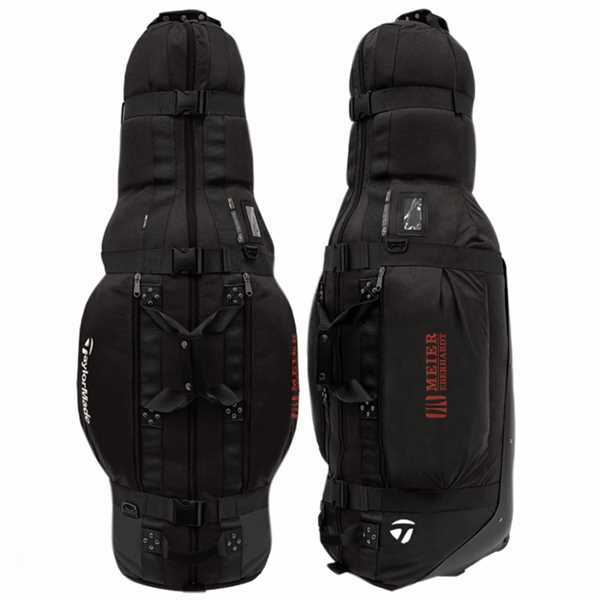 TaylorMade® Players Travel Cover. Accommodates most golf bags with the exception of staff bags. Two external pockets and 2 exterior compression straps. 360 degree padding for club protection. Easy roll wheel system, grab pull handle and external carry strap. Size: 18 1/2 " x 51 " x 16 "